As we gear up for the seventh class to join our Runway program this March, we take a deep dive into the ventures that have gone through the program and are on their way to mastering the art of scaling. 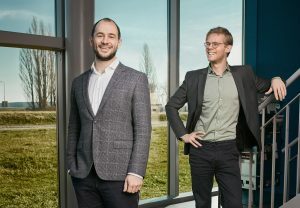 “We want to make sustainable windows, without compromise.” This is how Runway Class 6 alum and PHYSEE CEO Ferdinand Grapperhaus, Jr., explains the vision for the company he co-founded in 2014 with CFO Willem Kesteloo. What began at TU Delft as a master’s thesis project in physics on luminescent materials (the name PHYSEE is a combination of physics and seeing) has scaled into an award-winning, multi-product enterprise devoted a simple idea: solar-powered windows. Over the years, Grapperhaus and Kesteloo perfected the PowerWindow, a normal looking sheet of glass that can generate electricity from the sun. They joined our Runway program during their third year of existence, as they became a company deep in the scaling phase. Hungry to learn and excited to grow, they stand out for devotion to their product and its benefactors, as well as their expanding team. During Runway, they were engaged and devoted to learning from the ScaleUpNation sessions. The ScaleUpNation team was equally taken with their potential to grow, recognizing in them the essential qualities of ScaleUpDNA. The ScaleUpDNA is made up of the intrinsic qualities that provide scale-up potential. Our research on hundreds of fast-growing companies has given us an implicit understanding of which ones will go beyond the first valley of death thanks to five fundamental elements that make up the company at its inception: a compelling vision, a great business, a scalable model, competitive edge, delighted customers. By 2050, 70% of the population will live in urban areas and spend large portions of their days indoors, from home to work, in buildings that have shown to contribute to 40% of global energy consumption. The urgency for sustainable living solutions motivates PHYSEE at its core. Their design absorbs all sunlight thanks to special coating on the outside windowpane that transports it to the edges, and converts it thanks to solar cell strips bordering the window frame. Their vision is to change the perspective of glass into one of living skin, working with real-estate developers to not have to trade traditional glass windows or rooftop designs for solar panels. “We want to become the norm,” they tell us. Their passion for happiness is equally felt within the organization, whom they devote as much attention toward improvement. In conversation, both co-founders emphasized how important it is for the team to grow together with the company. They have set out to prove that each team member can scale as the company scales, and have created a business beat within their company and its internal teams. PHYSEE plays in the field with a unique, but very active market – real estate development. “The scaling challenge we face is that we are still small compared the big players of global commercial real estate. We come in and have to show how important it is for buildings to be energy neutral,” says Willem. They now invest in developing relationships within the conservative environment of commercial real estate, and their dedication is showing results. 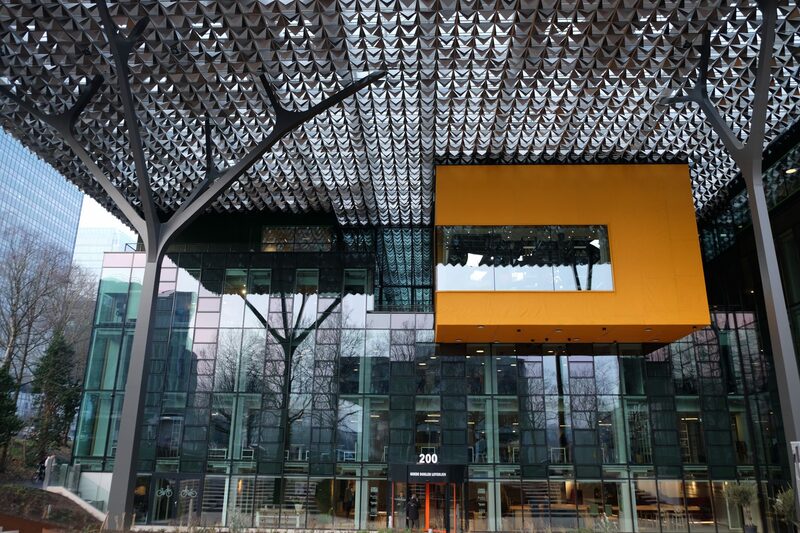 In 2016, they won the Postcode Lottery Green Challenge and were awarded 500.000 euro and the window provider of the Goede Doelen building in Amsterdam Zuid (image), which opened late 2017 and whose façade now features over 100m2 of PowerWindows. The residents of the upcoming BOLD Tower in Amsterdam Noord will be the first in the world to have a transparent electricity-generating windows; the Binck Kade in The Hague is soon to come. They predict their impact will be to make buildings 20% more economical. A quick look at their website’s product page shows how much scaling potential is found between sunlight and windows. “Glass is huge, trend-wise, all over the world,” Willem tells us, “and so are energy efficient buildings.” Riding the wave, they developed their first product, the PowerWindow to feature a double-pane (like an airplane window) that transports the sunlight into a solar cell strip that line the frame. The following product, the SmartWindow, is added to optimize climate control for each room based in individual preferences and geographical layout, and consumers can add smart thermostats, smart blinds, and ventilation pockets to further optimize their preferences. They envision the possibility to expand into car windows, greenhouses, even reading glasses. Within the team, scale is also a pressing matter. The team has grown considerably in the last two years and the challenge this poses to young first-time founders can be daunting, but they are optimists. “We invest heavily in developing our team, and put quite some money into their learning goals. The people we hire always come to mean so much more to us than we would think beforehand,” Ferdinand says. The passion is not only about windows and construction – user happiness is at the heart of their product. The comfort and happiness of its residents will do its part in creating a better world. “Happy people are 10-20% more productive,” Ferdinand explains. The Happiness Mode is inspired for people living and working indoors for large parts of our days, as it self-regulates light and warmth to personal preferences. It will keep track of what you do at certain times, and learn to do it for you automatically. “I think the days of single-purpose materials are gone,” says Willem. They are doing their part in scaling a company that will take the world beyond its dependence on carbon, and into the light of the future. Interested in learning more about Scale-up DNA? Apply to our ScaleUpNation Runway Program. More information here.